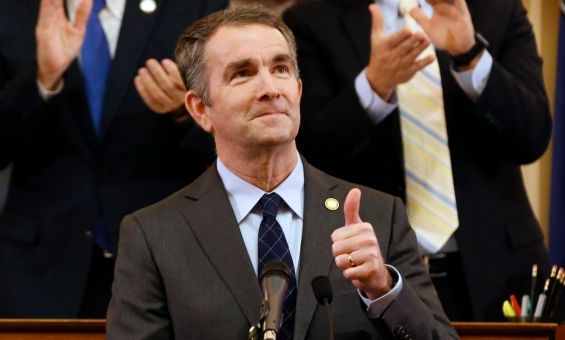 There were crickets in large swaths of the liberal media on Wednesday as the left’s attempt to advance late-term abortion measures took an even more gruesome turn as pediatric neurologist and Virginia Governor Ralph Northam (D) articulated on WTOP-FM support for infanticide if parents decide with physicians to not provide care to a delivered child if deemed unviable. Just as the broadcast networks of ABC, CBS, and NBC did earlier in the evening, a NewsBusters analysis found that liberal cable networks CNN and MSNBC ignored Northam’s comments during their primetime programming. For this analysis, CNN and MSNBC shows from 7:00 p.m. Eastern to midnight Eastern were examined. In contrast, a look at the Fox News Channel programs in that span (The Story, Tucker Carlson Tonight, Hannity, The Ingraham Angle, and Fox News @ Night) yielded 67 minutes and 23 seconds of coverage on Northam’s comments, unsuccessful attempts by Virginia Democrats to pass a late-term abortion bill, and how New York was able to push through such a law last week. Within those numbers, Fox News @ Night had the most coverage with 17 minutes and 32 seconds. Tucker Carlson Tonight was 61 seconds back at 16 minutes and 31 seconds. Despite what FNC critics may try to argue, three pro-abortion officials were present on to defend the proposals (plus soundbites from both Northam and Virginia Democratic Delegate Kathy Tran), including Planned Parenthood’s Erica Sackin in Fox News @ Night’s A-block debating Concerned Women for America’s Penny Nance. SUPPORT LIFENEWS! If you like this pro-life article, please help LifeNews.com with a donation! Instead of covering this, CNN and MSNBC covered topics that included (but were not limited to) rehashing tweets from over 12 hours earlier in which the President knocked his intelligence chiefs, the Mueller team catching Russians using non-public information to try and discredit the probe, and attempting to bludgeon former Starbucks CEO Howard Schultz from considering an independent presidential bid. Northam and his supporters have tried to explain themselves in statements and tweets that attacked conservatives, Republicans, pro-lifers, and anyone who’s criticized them as — wait for it — sexist. Further, a few friendly media outlets like the Associated Press, NBCWashington.com, and The Washington Post have begun crafting defenses that are likely to arise if CNN or MSNBC shows discover it on Thursday. And predictably, those and subsequent takes have and will revolve around describing pro-lifers as overplaying their hand, pouncing, or seizing on the comments from both Northam and Tran. Abortion supporters may try to defend the notion of expanding abortions up until the day of birth or, as we’ve seen, after they’ve left the womb, but the damage has been done. A 2013 study of abortions after the 20th week of pregnancy indicated that “most women seeking later terminations are not doing so for reasons of fetal anomaly or life endangerment.” (The number of such abortions has been estimated at around 12,000 a year. For a sense of scale, that’s more than the annual number of gun homicides in our country.) The legislation Northam backs does not limit late-term abortions to such circumstances, either. LifeNews Note: Curtis Houck writes for Newsbusters, where this column originally appeared.